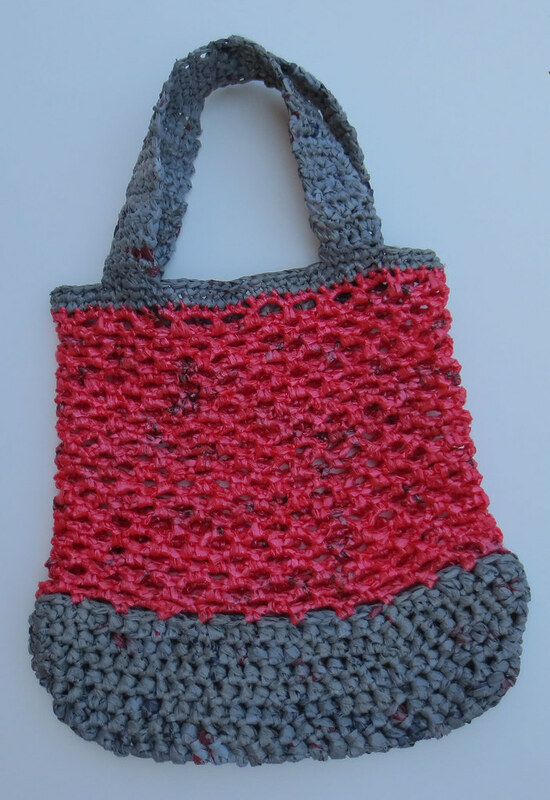 I present a pink and grey plastic bag tote featuring a netting stitch look. 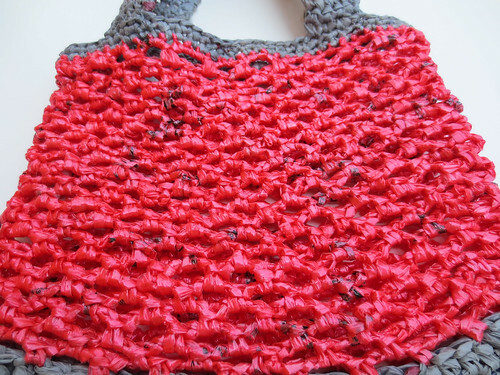 I crocheted this tote bag using recycled grey retail bags and pink plastic newspaper sacks. Both types of plastic bags were cut into strips using these plarn making tutorials. I just love the fish net look of this stitch in pink plarn. It’s just so pretty looking. The contrast between the pink plarn and grey really works well together. Check out this cool reusable tote bag I received in the mail. I just love the size and the message of this bag. It’s a roomy 14″ by 14″ tote constructed of heavy canvas and is one of the go green items that Dakota’s Personalized Gifts is offering their customers. They generously sent me this bag along with a set of their bamboo kitchen utensils to review. The bamboo kitchen set includes 4 different spoons and spatulas along with tongs, chop sticks, and even a potholder. Plus it comes in an authentic bamboo stalk for storage. It features the wide grain of bamboo slats for beauty and durability. Overall an attractive and useful set for the price which includes free personalization on the items. What would be the ultimate grocery bag? Of course in my opinion it would be made from recycled materials, be reusable, strong and very durable. What about free — yes that would be the ultimate. So here it is. It is crafted from recycled plastic bags, it is reusable over and over, doesn’t tear, and it reduces the use of bags from the grocery store. So it is a win-win bag. You win and the environment wins. It’s the ultimate bag! 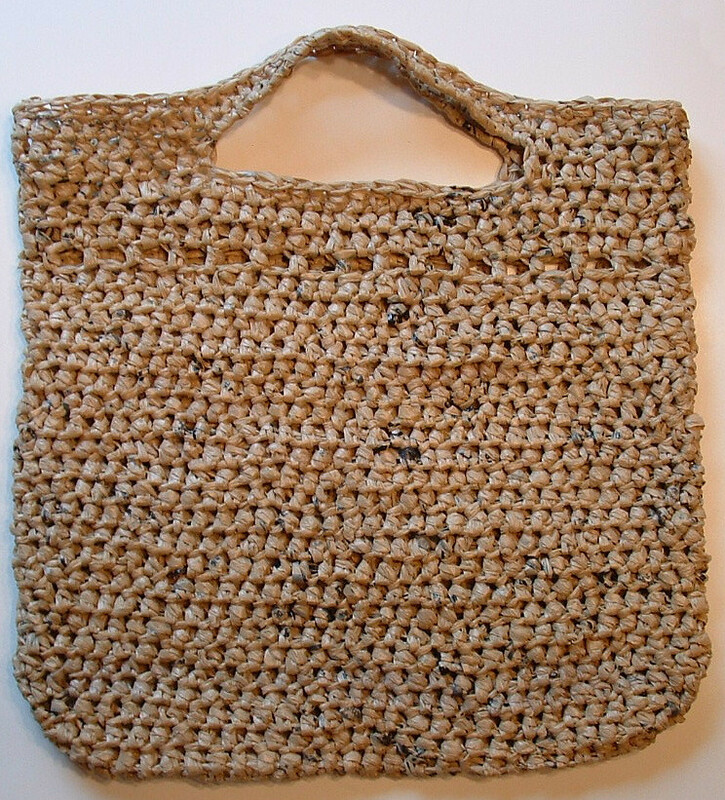 This bag is created by crocheting with plastic bag yarn or plarn. I have a handy picture tutorial here if you need to know the steps to make your own plarn. 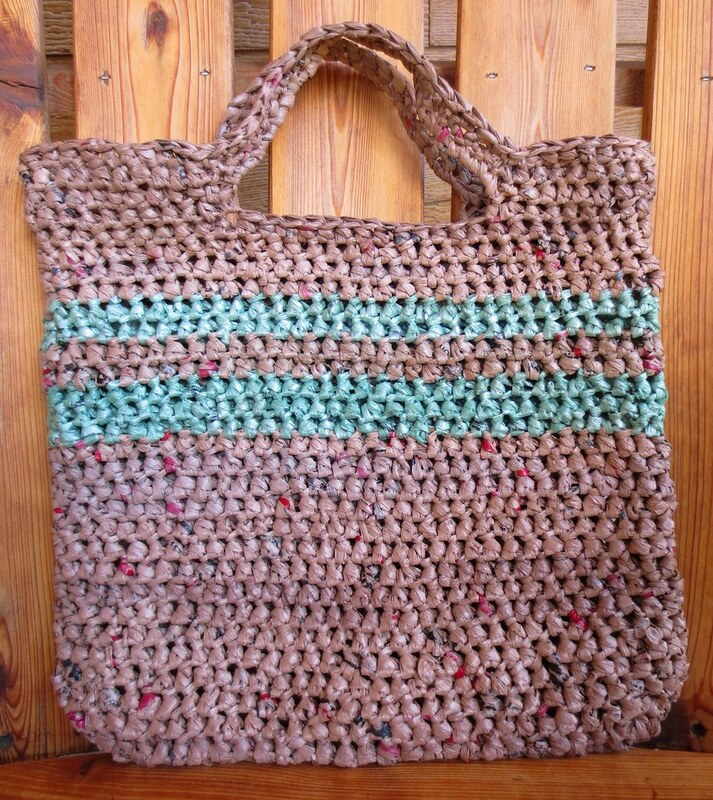 It’s a fun and easy way to create a durable market bag as shown above. 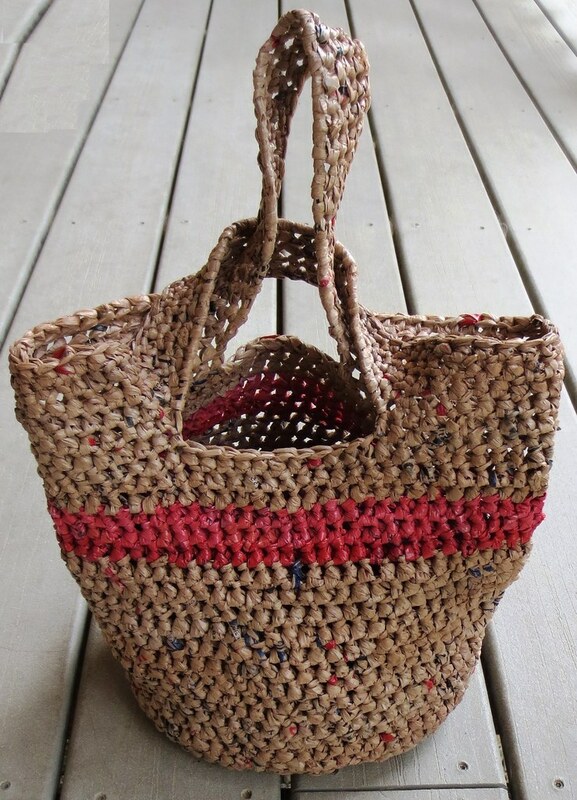 Plus it’s a great way to repurpose those plastic bags you may have stashed around the house. I hope you enjoy this green and frugal project. Here is the free crochet pattern below.